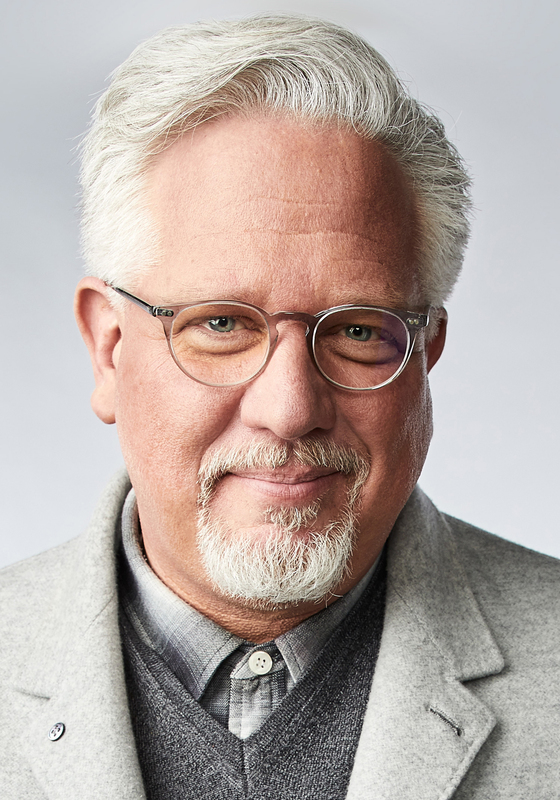 From #1 bestselling author and popular radio and television host Glenn Beck, the powerful follow-up to his national bestseller Miracles and Massacres, which was praised as “moving, provocative, and masterful” (Michelle Malkin, bestselling author of Culture of Corruption). Everyone has heard of a “Ponzi scheme,” but do you know what Charles Ponzi actually did to make his name synonymous with fraud? You’ve probably been to a Disney theme park, but did you know that the park Walt believed would change the world was actually EPCOT? He died before his vision for it could ever be realized. History is about so much more than dates and dead guys; it’s the greatest story ever told. 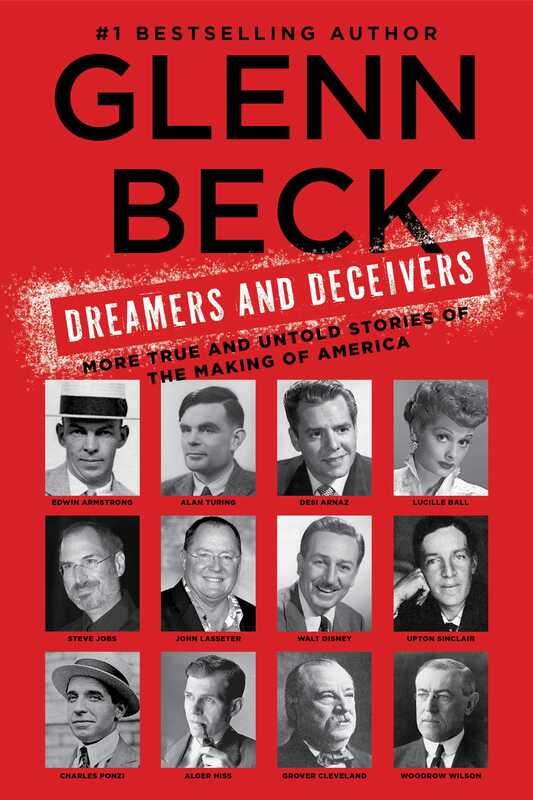 Now, in Dreamers and Deceivers, Glenn Beck brings ten more true and untold stories to life. The people who made America were not always what they seemed. There were entrepreneurs and visionaries whose selflessness propelled us forward, but there were also charlatans and fraudsters whose selfishness nearly derailed us. Dreamers and Deceivers brings both of these groups to life with stories written to put you right in the middle of the action. From the spy Alger Hiss, to the visionary Steve Jobs, to the code-breaker Alan Turing—once you know the full stories behind the half-truths you’ve been force fed…once you begin to see these amazing people from our past as people rather than just names—your perspective on today’s important issues may forever change. William H. McMasters was one of Boston’s top public relations experts. He’d handled political campaigns for everyone from Calvin Coolidge to former Boston mayors John F. “Honey Fitz” Fitzgerald and James M. Curley. It was this reputation that led the treasurer of the Hanover Trust Company to secure McMasters’s services for one of their top new shareholders: an overnight financial sensation named Charles Ponzi. At fifty-six years old, McMasters had wavy graying hair, a small nose, and prominent lips. A lawyer and Spanish-American War veteran with political aspirations of his own, he was never averse to having a multimillionaire for a client—especially a guy who seemed to be throwing money around with abandon. Whether it was friends, staff, family, or charities, practically everyone Ponzi came across got money. McMasters liked that. The well-dressed lawyer smiled as the exuberant diminutive Italian approached him. Oozing charm and confidence, Ponzi shared with McMasters his plans for building a larger financial empire. He told him that he was bringing in hundreds of thousands a month and giving his shareholders a 50 percent rate of return in just ninety days. “But how do you do it?” McMasters pressed. Ponzi was self-assured, McMasters saw that right away. But he also saw something else, something that filled the seasoned lawyer with doubts. After all, a person who spins the truth for a living can always see when someone else is doing the same. Of course Carlo knew that she was already proud. Imelde Ponzi had big dreams for her only child, who had ventured from the northern Italian countryside into the city. She had told Carlo again and again, especially after his father died, that he was the family’s future. Only he, with his brilliance, tenacity, and many capabilities, could bring them the wealth and recognition they deserved. He would build “castles in the air,” she often said, whatever that meant. Perhaps that was why Carlo was drawn to his circle of friends at school. These were young people of sophistication and wealth. They wore the finest clothes, drove the finest vehicles, partied at all hours, and had seemingly unlimited funds. They lived la dolce vita. Satisfied with his letter to his mother, Carlo had a few more drinks, scrounged together some money for gambling, and stumbled out into the night. One year later, Carlo was sitting in his uncle’s house in Parma. Since his father’s death, his uncle had seemed to think it was his duty to offer counsel and guidance. “College is over,” his uncle said. “I think it is time you found a job. The young man winced. Carlo Pietro Giovanni Guglielmo Tebaldo Ponzi was not meant for a life of middle-class drudgery. Working at a monotonous job for meager wages? That was humiliating. And what a disappointment it would be to his mother. They were a rather ordinary middle-class family, but they had million-dollar designs. Carlo’s mother was a descendant of Italian dons—and Carlo believed it was time to return the family to wealth and prominence. Imelde had been heartbroken when her only son had dropped out of the University of Rome. She was astonished when she learned of his poor marks. She couldn’t believe he had lied to her for so long. Carlo hadn’t set out to deceive her. He never expected to flunk out of university. His rich friends had seemed to coast through their studies and stay in school. He couldn’t figure out why that same strategy hadn’t worked for him. “Well, then, what about America?” his uncle asked. Stories about uneducated, poor Italian boys leaving for America to get rich were everywhere. “America?” Carlo asked, his face brightening. Twenty-one-year-old Carlo Ponzi arrived in the United States amid choppy seas and an icy wind that whipped up the rain and ocean mist. He walked onto the docks and wiped the saltwater from his thick, expressive eyebrows. He barely spoke a word of English and had just $2.51 left in his pocket. The rest, his entire life savings, he had gambled away during the voyage. Ponzi bore no ill will toward the Sicilian who’d cheated him out of his money. To the contrary, he was impressed by the man’s skill. But his current sorry state was of no consequence to him. At five feet four, Carlo may have been short of both height and money, but he had million-dollar dreams. America would be the place where great things would happen for him. He could feel it. This was his destiny. As he exited the ship, he was wearing his best suit. He’d learned from his former classmates in Rome that one always had to look the part. With a smile on his lips and a twinkle in his eye, he was sure he looked as if he had just walked out of one of Boston’s finest homes. Carlo dutifully submitted himself for inspection to the officer at the U.S. entry point. Like every other immigrant arriving in America, he vowed that he had never been in jail or the poorhouse, and that he had no communicable diseases. It was all rather demeaning for someone of his merit, but what could he do? “What’s your occupation?” the officer asked. Walking through the inspection gates, he felt an unpleasant texture beneath his finely polished Italian shoes. As he looked down, he made a surprising discovery: The streets of America were not paved with gold. They were in fact caked in mud. Luigi Zarossi chomped on a cigar and eyed the young men carefully as he listened to them outline their plans for the bank. In a matter of months, Charles, with his steady smile, confident gaze, and infectious optimism, had won his boss’s trust. Zarossi had promoted him from assistant teller to manager of the bank in record time. A bank manager—his mother couldn’t help but be impressed with that! Charles’s English, if not his finances, had improved enormously over the last few years. He had drifted from one job to another, working in all sorts of odd places, including as a dishwasher at a restaurant, where he’d slept on the floor to save money. But he knew none of those jobs were going to help him achieve his dreams. It wasn’t as though he was starving—he wasn’t. He knew he could lead a perfectly comfortable lower-middle-class existence like any number of his fellow immigrants. Find an Italian woman. Raise some Italian kids. But that wasn’t for him. In his frustration, he sometimes turned to dice or card games to try to make some extra money, but, for whatever reason, luck rarely took his side. That was why, after hearing about an Italian immigrant who had started a successful banking business in Canada, he’d decided to head north. And so he was starting over again. He was now in a new country, with a brand-new name to match: Charles Bianchi. “Charles” was more acceptable than “Carlo” and “Bianchi” was Italian for “White.” White like a piece of paper. A blank page. A clean slate. Under the direction of the jovial Luigi Zarossi, Banco Zarossi catered to Italian immigrants, luring them in with promises of competitive interest rates and fair dealing—not to mention speaking their native language. Banco Zarossi became one of the fastest-growing financial institutions in Canada, but Charles knew it was also a troubled one. Zarossi had been dipping into customers’ deposits to pay for some bad investments. His boss was a nice man, Charles thought, but a stupid one. It was during his time at the bank that Charles ran into Antonio Salviati, a friend from the old country. Salviati was still the same slick guy he’d known at the University of Rome, complete with the small scar on his cheek from a knife fight. It was Salviati who had helped Charles come up with the plan they were now presenting to Zarossi. “Mr. Zarossi, what if you could offer customers a ten percent interest rate on their accounts?” Salviati asked. Zarossi’s eyebrows rose. “But what will happen when the customers realize their money never reached their relatives? “That’s why we should pay a ten percent interest rate,” Charles said. “To bring in big depositors.” He explained that by the time anyone was wise to the scheme, the bank would have more than enough money to wire to customers’ families in Italy. Alone in his room at the boardinghouse, Charles threw his clothes into suitcases. His train was leaving in thirty minutes. He hoped it would free him from both Montreal and from his latest mess. He quickly looked around the room for anything he might have forgotten. Suddenly he heard a knock on his door. Then another. “Who is it?” he asked. Opening the door, he saw two somber-looking men. Although they were dressed in plain clothes, they had the aura of law enforcement. His heart raced. Why had he lingered in Montreal? He should’ve been gone by now. He thought he would have had more time. “Are you Charles Bianchi?” one of the men inquired. His tone did not suggest a friendly call. Nobody had said a word two days earlier when Charles had walked into the main office of Canadian Warehousing. And why should they? After all, the company was a customer of Banco Zarossi, and Charles had visited them often. Entering the director’s empty office, he had opened a desk drawer and written himself a check for $423.58. He thought the precise number was an especially nice touch, making it seem more credible. At the bottom he signed the director’s name. Then he put the check into his suit pocket and walked out the door. Charles didn’t want to take money from one of his customers, but what choice did he have? The scam at the bank had collapsed in just a couple of months, far sooner than any of them had expected. Customers received quick word from relatives that their money hadn’t arrived—and that was it. Within days, Salviati had disappeared and Zarossi had fled to Mexico City with all the cash he could find. But Ponzi had decided to remain—at least long enough to spruce himself up before returning to the United States. He walked from store to store, buying two new suits, an overcoat, a pocket watch with a chain, shirts, ties, and suspenders. He looked the part of a successful businessman. Now those very clothes were being inventoried by Detective McCall, who also found what was left of the forged check Ponzi had cashed—a little over two hundred dollars. “Carlo Ponzi,” also known as “Charles Ponzi,” aka “Charles Bianchi,” aka “Charles Clement,” was under arrest. Dearest Mother, your son has at last stumbled on excellent fortune in this country. I have taken a position as special assistant to the warden in this institution, who can well use my fluency in language in conversing with some of the inmates. It is a three-year contract, darling mother, and during that time I shall not have to worry where my next meal or warm bed is to come from. . . . When he finished writing he shifted fitfully on his mattress, which was made from a sack of corncobs and husks. For Ponzi, the despair of being locked in a cell was nothing compared to the empty feeling of being dead broke. As he clawed at his makeshift pillow, he resolved never to let it happen again. The U.S. border inspector walked through the crowded coach train and scrutinized the six men before him. They were obviously Italians. Five of them were big and burly and looked clueless. The sixth, however, was a short guy who appeared confident and composed. Back in Canada, Charles Ponzi had told the five big Italians to board the train quietly and sit with him. He had ushered them on board as a favor to his old friend, Antonio Salviati, who was still managing to evade the authorities in Canada while undertaking a new scheme: smuggling Italian immigrants into the United States. When Ponzi handed his ticket to the conductor, the five men were to follow suit. They were not to say a word or cause any trouble. Intelligence, however, was not their strong suit. The moment an officer began to question them they started jabbering away in Italian. The jig was up moments later when their paperwork didn’t check out. The officer looked directly at Ponzi. “You’ve brought these men into the United States in violation of the immigrations laws,” he charged. “None of you have a permit to enter the country,” the officer said. As an Italian citizen, Ponzi needed a visa since he had never bothered to obtain citizenship when he’d first arrived in America eight years earlier. Charles lowered his head and closed his eyes. His run of bad luck had apparently not yet ended. He was on his way to another prison, and this time for one of the most serious of offenses: attempting to smuggle aliens into the United States. Charles Morse was a filthy-rich Wall Street mogul—exactly the kind of man Charles Ponzi had always wanted to be. Now Morse was Ponzi’s fellow inmate. The authorities had closed in on Morse over his involvement in a speculation scheme and the alleged misappropriation of bank funds—not unlike Ponzi’s own crimes back in Canada. As Morse described what he’d done, Ponzi hung on his every word. Morse had been known as the “King of Ice” in New York due to his ice delivery business. He’d also had a successful shipping company, which had made him a player with some of the biggest names around—not just in the city, but in the entire country. Even now, Morse bragged to Ponzi that his lawyers were pushing President William Howard Taft to show him leniency because of the mysterious illness he was suffering from. Ponzi had noticed that Morse’s curious malady always seemed to be most acute right before he was to be seen by the prison doctor. Then, moments later, he seemed to be fine again. Ponzi knew something was up, but he never said a word. He just watched. The illness intensified the entreaties of Morse’s wealthy friends for Taft to pardon him on humanitarian grounds. When news spread through the prison that Taft had finally granted the release, Morse quickly started planning a European vacation. Over their periodic chess games, Morse told Ponzi many times that his sentence was one of the most brutal ever imposed on a citizen of the United States. “There is no one on Wall Street who is not doing daily what I did,” he said. Ponzi listened to his idol’s words carefully, especially now that the great man was departing. “Always have a goal, Charlie, a goal that keeps getting bigger. “It’s all a matter of keeping your sights high. There are millionaires outside who make mistakes every day, but their sights are high and when things go wrong the money is there to cover their losses.” Their wealthy friends seem to be there as well, Ponzi thought. Charles later found out that Morse’s illness had been just another one of his schemes. He had been eating soap shavings to put toxins temporarily in his body. In America, Ponzi was starting to realize, if you had money and power, you could get away with almost anything. Charles Ponzi looked at the wooden pews of St. Anthony’s Church and saw them filled only with Gneccos, his future in-laws. He couldn’t afford to bring his mother or any other relatives to America for his wedding. It was the day’s only disappointment. Up until this moment, he’d endured a long string of disappointments since his release from prison. He had first kicked around the South for a while, finding temporary jobs in Alabama. Then he’d decided to return to Italy to see his mother and fight for his country during the Great War. He had convinced himself that fighting with honor for his homeland would fulfill the great destiny that had eluded him. It was not an idle dream—Ponzi had, in fact, even gone so far as to board a steamship in New York Harbor. But as the ship weighed anchor, Ponzi learned via telegraph from the Italian government that he would have to bear the cost of his transit to Italy and back himself. Ponzi believed that to be unacceptable. He was returning home to fight for his country—it seemed to him that paying for his voyage was the least they could do. Leaving his luggage on the ship, Ponzi walked out to the deck and jumped overboard. It only took a few minutes to swim the short distance back to the pier. Maybe, he thought, America is still my destiny after all. And now, as he stood at the altar awaiting his bride, he felt that destiny more strongly than ever. Thirty-five-year-old Charles had wooed the much younger Rose Gnecco for months. Even with his meager salary as a clerk at the J. R. Poole Company, Charles had showered the woman with flowers, gifts, and nights out at the theater. He’d finally saved up enough cash to afford a modest ring. During their courtship, Charles had always been vague about his past. He told Rose he was involved in various “investigations.” He hinted that he’d worked for the Italian government. Now, with the sun peeking through the church’s stained glass windows, Charles and Rose were married. He truly loved her, and he felt honored beyond words to have found such a beautiful woman. It was another new beginning for him. Another fresh start. And, this time, his life really was going to take a turn for the better. Big things were about to happen. He could feel it. Ponzi had quit his job and taken over his father-in-law’s grocery business, determined to turn things around. The company had owed $11,000 to creditors when he’d joined. Charles had pled with the creditors’ lawyers to loan him $6,000, and he’d promised to repay the money and the business’s debts within a year. He had a plan. He could do it. The lawyers didn’t believe him. As it turned out, they were right to be skeptical—and now, with the bankruptcy papers officially filed that morning, Ponzi was once again without a job. But this time was different. This time he had a wife to support. Brooding over his most recent financial troubles, he sat at the kitchen table, examining his stamps. He loved collecting them because it allowed him to think without distraction. Rose marveled at his patience and how they seemed to be an endless source of fascination for him. As he sat at the kitchen table, poring over the colorful pieces of paper from around the world, he vowed that this failure would be the last. He’d seen scams and frauds and bankruptcies. He’d seen Boston, Canada, and the inside of two prisons. Now, he pledged, he would finally see the one thing he’d been missing all along: success. He was going to be his own boss now. Walking through the front door of the Hanover Trust Company, Charles Ponzi was confident he would receive the funds he needed to make his new company a success. Seated across a desk from the bank’s president, he outlined his business plan, then cut to the chase: “I’m going to need two thousand dollars,” he said, assuring him that all of it would easily be repaid on time. The Traders’ Guide that Ponzi had devised was an enterprise of pure genius. He would charge other businesses around the country to advertise in the magazine, which would also promote his own import-export business for free. Ponzi had outsized ambitions for the publication, planning to release it in multiple editions and languages, including English, French, German, Italian, Portuguese, and Spanish. To get things going, he would mail a hundred thousand free copies to companies he found in business directories. Advertisers, he assured the bank’s president, would line up to buy ads in a publication with such a massive, business-oriented circulation. Anticipating his success, Ponzi had already rented a large office and hired two stenographers. All he needed now was money for more staff, along with printers, translators, salesmen, and, of course, postage. He had tried to find investors throughout that spring and summer, but had come up with nothing. What can you do? he asked himself. Some people lack imagination. This meeting with the bank was his last resort. “While it is our policy to accommodate our depositors whenever we can,” he said, “your account is more of a bother to us than a benefit.” Its balance, the president pointed out, usually hovered around zero. Ponzi stormed out of the bank. The Traders’ Guide was going to be his ticket to a fortune. Why couldn’t anybody else see its promise? Later that summer Charles sorted through the letters on his desk and came across one postmarked from Spain. Unaware that Ponzi was no longer working on the magazine, its writer had seen a notice for the Traders’ Guide and asked for a free copy. A lesser man might have viewed the letter as a cruel mockery, but Ponzi saw it as a turning point. He scrutinized the envelope and the strange, yellow piece of paper, the size of a half dollar, that was attached to the upper right corner. It wasn’t a traditional postage stamp. He knew those well. What was it? A smile spread across his face at the realization of what he’d just discovered. It was the spark of genius he’d always known was within him. Finally, after all of the false starts and all of the years of struggle and bad luck and misunderstandings with the law, the destiny his mother longed for him to fulfill was finally within reach. Actually, it was more than within reach; it was currently residing in the palm of his hand. Even as he struggled to explain his new business venture, Ponzi could see that Joseph Daniels had no interest in the 1906 conference in Rome, or foreign exchange rates, or reply coupons. To Daniels, who was standing on the other side of Ponzi’s desk with a frustrated scowl on his face, the equation was simple: Ponzi owed him money for the furniture he’d rented; Ponzi was unable to pay it; so now Daniels was there to repossess the furniture. But the Rome conference was important, Ponzi insisted. It was the linchpin of his new idea, called the “Securities Exchange Company,” and the key to his fortune. And so he tried again to explain it. Back in 1906, nations participating in the Rome conference had agreed to allow International Reply Coupons—just like the one attached to the letter he’d received from Spain—to be placed on envelopes sent abroad in place of postage stamps. Those coupons could be redeemed in any participating nation for a stamp of the equivalent price. It was pretty straightforward, but there was a loophole in the law: Because foreign exchange rates changed all the time, one could buy a coupon in Italy or Spain or Portugal for an amount that could end up being much less than what it was worth in the United States. And yet the coupon could still be redeemed in America for the full price. Daniels still looked confused. How could he not see what this meant? Didn’t he understand the potential? Buying a single coupon here or there was of no consequence, but if Ponzi got an army of employees to buy thousands, no tens of thousands, of these coupons abroad and then redeem them here in America at a higher price, the potential profits were enormous! Maybe, he told Daniels, even double or quadruple the original investment. In truth, Ponzi had invented the “fifty percent in ninety days” pitch because it sounded impressive. He had absolutely no idea how much he could really make, but he also knew the actual numbers were irrelevant—he just had to sell the dream. We are all gamblers, Ponzi thought. We all crave easy money. To Daniels, the idea sounded too good to be true, but he was intrigued enough by Ponzi’s enthusiasm to invest $200 and to let him keep the furniture for a little longer. Ponzi was about to lose the potential investor. Ettore Giberti, a grocer and fellow Italian immigrant in his thirties, had come to the office to hear more about the new enterprise that Ponzi had been talking up all over the neighborhood. Ponzi could not lose on his very first investor pitch after Daniels. That would be an unwelcome precedent. So he made Giberti an offer: “Why don’t you become the first sales agent for the Securities Exchange Company?” He explained that Giberti wouldn’t have to part with any money and instead would receive a referral fee of 10 percent of any money he brought in. He also convinced Giberti to put up a nominal amount—maybe $5 or $10—just so he could tell the people he was soliciting that he was also an investor. Two weeks later, Giberti handed Ponzi $1,770 from a total of eighteen different investors. Now, as he spread the cash out over his desk to count it, Ponzi had to make a decision. He could try to actually buy the coupons and redeem them for cash, as promised. It was very likely to work, but it would take a lot of work and coordination with people overseas. Or, he could improve upon the idea he’d first been a part of at Banco Zarossi: use the cash from later investors to pay off the earlier ones. Everyone got their money, and there would be no hard work necessary. In the end, there was no decision at all. Where Zarossi had failed, Ponzi knew he would succeed. The first forty-five days were up, and now Ponzi was ready to pay his investors their money back, along with the promised 50 percent interest. Sure, he’d told investors ninety days at first, but he knew that paying them the promised interest in half the time would generate far more enthusiasm. “How can you afford to do this?” some investors asked. “My man in Europe, Lionello Sarti, returned earlier this month,” Ponzi explained. “He works on a transatlantic liner that makes stops in various ports, so he collects reply coupons by the thousands and brings them back to the States. Word of Ponzi’s success began to spread. A young married couple had learned of the company from a friend who was an early investor. Now they wanted to talk to the man himself. As Ponzi met with them, he noticed that the wife seemed especially skeptical of the strategy. He saw the dubious look in her eyes as she listened to him answer her husband’s questions. She wasn’t sold. So Ponzi went to work on her directly. By the time he was finished, the wife took $15 from her purse and handed it to Ponzi. Her husband proceeded to turn over $400 more—the remainder of their bank account—and agreed to work for Ponzi as a sales agent. When returns were due, Ponzi often told customers that he would gladly pay off their investments, but that if they wanted to reinvest their money—well, then the returns would be even greater. Most agreed to do just that. And, soon, almost everyone was telling their friends about the financial wizard who had invented a plan that would make them all a fortune. Even his wife’s uncle, John Dondero, invested in the reply coupons, handing Ponzi a check that amounted to his life savings, $2,000. It was the biggest sum Ponzi had ever received from a single investor. Dondero did not worry that he had never met Mr. Sarti—though he might have if he’d known that no one else had ever met Sarti, either. Charles Ponzi walked into the police station looking like the embodiment of wealth and success. One hundred and ten investors had come into his office over the past month alone, investing a total of around $25,000. It was more money than Ponzi had ever seen at one time—more than he would make in a decade doing the kind of “honest work” his uncle had envisioned for him. A man always wants more, Charles thought. More money. More possessions. More power. The more he buys, the more he wants to buy. It’s human nature. He had begun to pay off his debts, including the $200 he owed to furniture dealer Joseph Daniels. He’d even bought more furniture from Daniels to show his appreciation for his previous trust. “We have the Boston Police Relief Association,” the captain answered. Ten thousand dollars were flowing into the offices of Charles Ponzi each week. Word of the Ponzi profit machine was now the talk of ordinary folks throughout the city. He couldn’t go to a fruit vendor without hearing their excitement about investing in International Reply Coupons and the sky-high profits that would follow. Of course, there were still questions. People weren’t always fools. Some asked how he was buying all these reply coupons in Europe. Ponzi told them what he could, but explained that he could not divulge any corporate secrets. He could, however, tell them that he had built an elaborate network of agents throughout the Continent, people buying up coupons by tens of thousands, for redemption back in the States. “How are you trading in the coupons for money?” others asked. It was a good question—too good, in fact. Ponzi told them that such information was a trade secret for competitive reasons. If he explained his methods of redemption then anyone could do it and he would no longer have a business. Besides, all of his initial investors were receiving the interest they had been promised and many were reinvesting with him. Who could argue with success? Everything was going incredibly well, but Ponzi could not shake the feeling that he hadn’t thought of everything yet. With each new investment, his stomach twisted further in knots. He was sure he was getting an ulcer. What if his investors all wanted to cash out at once? What if someone figured out that there was no Lionello Sarti or that there were no coupons being redeemed? What if the authorities shut him down? Ponzi’s growing angst turned out to be prescient. This became clear later that day when he received a letter from the U.S. Post Office, the contents of which he disclosed to no one. Charles Ponzi was the millionaire he’d always wanted to be. He and Rose had chosen a massive mansion in Lexington, Massachusetts, complete with a grand portico, a carriage house, air-conditioning, and a heated swimming pool. He had the finest clothes and he showered his wife with gifts, flowers, and jewels. He bought a new car—a cream-colored Hudson coupe—and he planned to hire a butler and a cook. He sent his mother money to come to America—first-class, of course. But none of those trappings of wealth underscored his success as much as what he was doing today. Walking into the Hanover Trust bank—the same bank that had refused to lend him money and had derided his account as a nuisance—Ponzi now deposited a small fortune of $60,000. Pretty soon, he thought, he’d buy up shares of the bank to gain a controlling interest. Maybe he’d even be named the bank’s president. Revenge was sweet. But this was about more than just revenge; it was about his destiny. Ponzi saw himself in the same vein as Italy’s greatest hero, Christopher Columbus. The explorer had thought he was on his way to Asia and had discovered America instead. Nobody cared that he’d had no idea America existed when he started his journey, or that he had come across it by accident. He was famous anyway. Yes, Ponzi thought, he and Columbus were similar in many ways. Ponzi’s anxiety over his growing fraud lessened as he walked into the lobby of Hanover Trust. Using his profits to buy shares in other companies meant that he could use those company’s success to help pay off his investors. It was perfect. He wasn’t finished yet. Far from it. Ponzi jumped up and down like a child as he spotted the small, frail woman dressed in black who was exiting the ocean liner with the other first-class passengers. It was the first time he’d seen his mother in seventeen years. Dressed in a dark blue suit with a carnation in his lapel, he approached his mom and wrapped her in a warm embrace. Imelde scrutinized her son carefully. She didn’t seem surprised by his success—this was, after all, what she’d always expected from him. He couldn’t wait to show her his mansion. “Mr. Ponzi, I’m a reporter from the Boston Post.” The voice on the other end of the telephone line was deep and serious. “I understand a chap named Joseph Daniels is suing you for one million dollars.” The sum was all but unheard-of and had caught everyone’s attention. Ponzi had received the news only days earlier. Daniels, the furniture dealer, had decided that his loan of $200 had kept Ponzi’s company afloat. Now he wanted a piece of the massive profits that had followed. The lawsuit infuriated Ponzi. The company had been his idea alone! Daniels had wanted no part of it. He’d be damned if that furniture salesman would get a single cent. Ponzi was eager to get the reporter off the phone, and off his trail. But then an idea struck him. One of his best—and that was really saying something. It promised to be another glorious summer day. While Ponzi enjoyed breakfast with his wife and mother in the mansion’s dining room, the maid brought in the Boston Post. The front-page headline caused Ponzi to spit out his juice. 50 PERCENT INTEREST PAID IN 45 DAYS BY PONZI—HAS THOUSANDS OF INVESTORS. The proposition has been in operation for nine or ten months, roiling up great wealth for the man behind it and rolling up much money for the thousands of men and women who are tumbling over themselves to entrust him with their money on no other security than his personal note, and the authorities have not been able to discover a single illegal thing about it. Ponzi concluded that the story couldn’t have been better if he had written it himself. He watched with pride as his mother glanced at the headline, the story, the pictures. He had finally proven himself to her. And to the world. The next morning Ponzi arrived at his office to find an enormous crowd of people waiting for him. They had been lining up since 6 A.M., eager to invest their savings in Ponzi’s can’t-miss strategy. The Post’s story had been picked up by newspapers across the country. Charles Ponzi was now more than just rich—he was famous. “There’s Ponzi!” someone shouted as the “wizard” arrived in a blue limousine. The sighting led to cheers as dozens of people rushed forward to see the genius in the flesh. As Ponzi walked through the crowd with his gold-tipped cane, he presented himself as the people’s financial hero and savior. “I want to see the man who can make a million in six months!” someone shouted, their voice rising over the din. As he entered his office, he received a phone call from Rose. She told him that reporters and others were standing in front of their house, all hoping to catch a glimpse of him. Someone from the Fox movie company had called to tell her they were going to send a camera over to put Ponzi in the newsreels! Ponzi took a deep breath and smiled. Everything he’d worked for was now his. That day alone, his offices collected more than $3 million in new investments. It all came from people who were tripping over themselves to give their money to a man they knew solely through a newspaper article. What the newspaper gods have given, they now were quickly taking away. Barron had checked with the U.S. Post Office and learned that an average of just $8 worth of International Reply Coupons had been redeemed per day over the last several months. If Ponzi was making his money by redeeming these coupons on a wide scale, Barron was wondering why the Post Office had no record of it. Ponzi was infuriated by the accusations and considered filing a lawsuit against Barron for libel. But first he had to attend an important meeting, one that might well spell the end of everything anyway. To settle all doubts about the company’s legitimacy, McMasters had suggested that Ponzi sit down with the state district attorney and federal investigators and offer to put himself through an audit. McMasters knew there was something funny about Ponzi’s numbers and suspected the Ponzi would never agree to official scrutiny. But, to McMaster’s surprise, a suddenly jovial Ponzi was all too happy to oblige. Now, sitting across the table from the DA and other officials, Ponzi came right to the point. He said he welcomed an examination of his operation. He had broken no laws. As his client spoke, smoothly and confidently, calmly answering question after question, McMasters became even more skeptical. Several times Ponzi had seemed to contradict himself. McMasters wondered if he was the only one who had noticed. “Mr. Ponzi, if you can do these things that you claim, you will be the greatest Italian who ever came to America,” one of the officials told him. The district attorney conceded that was so. “Well, then, may I make one request?” he asked. The next day Ponzi closed his offices as the public audit got under way. But that didn’t stop people from lining up outside. McMasters watched as a few of the investors asked for their money back—and Ponzi happily obliged. But most of them, McMasters observed, seemed inclined to wait out the audit. They still believed in the wizard who could make them a fortune. McMasters was not among them. At Ponzi’s office, he had begun to examine receipts and accounting slips. Then he went house to house and shop to shop, interviewing various investors. They showed him ticket stubs that indicated how much Ponzi owed them. And then he started to add up the sums. As he met with hopeful citizens who had given everything they had to this man, a disturbing realization haunted McMasters: Charles Ponzi was hopelessly insolvent. The lines outside Ponzi’s office circled the block. McMasters had witnessed this scene before, although under vastly different circumstances. Instead of joyful crowds eager to hand over their hard-earned money, people now looked terrified and angry. Some were in tears. A few had even fainted. All of them seemed to have read the Post’s front-page article that morning, a story written by William McMasters himself, who was now a former employee of Charles Ponzi. Although he’d been paid $5,000 to write the piece, he had done it primarily to clear his conscience and tell the people of Boston the God’s honest truth. Ponzi responded to the story immediately. Showing up at his office, he denied the allegations and offered to pay off the investors who were circling the block. He also said he would sue the Post for $5 million. “The issue now at stake is an issue between a man who wants to do all he can for the people and men who want to take as much money as they can from the people without giving adequate return!” Ponzi declared. His former client’s manufactured fury did not faze McMasters. He’d been around Ponzi long enough to know it was all a bluff—the last, desperate act of a failing showman. Ponzi greeted the reporters who were now watching his every step with his customary grin. “Well, they didn’t break me yesterday,” he said. “And they won’t break me today.” He told them that he was going to sue McMasters for $2,000. Reporters marveled at his unflappable calm, but Ponzi knew what they didn’t: One always had to look the part. Besides, as he’d learned years ago from Charles Morse in that Atlanta prison, a rich man could escape serious consequences. Still, he felt the pressure. The ulcer was still there. Although many people were sticking by him, the run on his company from worried investors had now reached $400,000. Despite his public protestations, Charles Ponzi knew that he would soon be out of money. Ponzi was still wearing his bathrobe and had not left the mansion all day. Rose was pacing back and forth in tears. She had never wanted this life in the first place. Her worst fears did not involve losing the house or the money, but losing her husband. She didn’t want him to go to jail. She still believed in him. She shared that sentiment with the reporter who came to visit them that Sunday. “I would much rather that he was a bricklayer working eight hours each day,” she told him. As his wife fretted, Ponzi told the reporter his life story—from his idyllic youth in Italy, to his journey to America, and then on to Canada, where he was involved in “confidential investigations.” From there, Ponzi said, he was “sent south” to Atlanta and Alabama before making his way back to Boston. As the reporter took notes, he couldn’t help but notice that Ponzi had glossed over several years of his life. Later that day, Ponzi received a telephone call from the reporter. Ponzi scoffed. “Ridiculous!” A strong denial, he knew from experience, could buy him some much-needed time. The public audit of his books would be completed any day now. Maybe by some miracle the auditor would believe his claims of solvency and he could figure out how to make all of this work. “What difference does it make?” Ponzi asked. “I might have,” Ponzi said, hanging up the phone. Reporters surrounded him now, everywhere he went. They hung on his every word. Many regular citizens did, too—convinced that he was a David standing up to the Goliath of the moneyed elites and corrupt authorities. People were still coming to his office with money to invest, including a group of immigrants who had pooled together $100,000. Officials at the local jail thought Charles Ponzi was a marvel. He was still confident and smiling, even though he was under arrest and most of the city of Boston, indeed most of the country, now knew he was a con man. On the day of his arrest, Ponzi told reporters, “I am not going to flee, but will stay here and face the music. I am going to prove that I’m on the level now.” Other wealthy men had made similar claims and gotten away with their crimes. Perhaps, Ponzi thought, he could do the same. Dressed in a dark, chalk-striped suit and polished shoes, Ponzi had his driver take him to the authorities, where he turned himself in. “I have done nothing wrong,” he assured them. “But you agreed to accept the auditors’ figures?” they asked him. New mug shots were taken at the Boston jail, and Ponzi was formally charged with scheming to use the mail to defraud investors, but he was a portrait of resolve. “The man’s nerve is iron,” a jailer later told reporters. The last few days had been especially unkind to him. First came the allegations in the Boston Post that Ponzi had been imprisoned in Canada for forging checks. The story included his mug shot, dispelling any lingering doubts about his malfeasance, even among the most loyal Ponzi acolytes. The revelations about his prison record horrified Ponzi, but not for the obvious reasons. He was more worried about Rose’s reaction to finding out he’d lied to her for so many years. That evening, Rose came to visit him in jail. His heart pounding, his shoulders slumped, Ponzi came clean. “I’ve known all these years, Charles,” she replied. Ponzi, broken and defeated, could not muster his trademark smile. His wife’s revelation did not ease the final blow that Ponzi suffered when the government’s auditor, Edwin Pride, concluded that Ponzi was $3 million in debt. By day’s end that number would be revised to upward of $7 million. Overall, Ponzi’s investors had lost, by some estimates, $20 million ($246 million in 2014 dollars). Half a dozen banks that held now-worthless notes from Ponzi were on the verge of collapse. Thousands of ordinary citizens faced financial hardship or ruin, although a few hard-core believers still held on to their notes, hoping that the wizard could pull some last miracle out of his hat. Ponzi was sentenced to five years in federal prison. Post office inspectors have reported their interview with you concerning a proposed speculation in International Reply Coupons issued by foreign governments. They are not intended as a medium of speculation, and the department cannot sanction their use for that purpose. The letter had made clear months ago something that would’ve made the whole scheme instantly collapse if it had ever been made public: International reply coupons could not be redeemed for cash. “Mr. Ponzi, how would you like people to remember you?” the reporter asked. Ponzi raised his once-bushy eyebrows, now mostly wisps of white. Sixty-six years old, nearly blind, and partly paralyzed from a stroke, the white-haired and shriveled Charles Ponzi flashed his sly, ingratiating smile one last time. He thought carefully about the reporter’s query, as well as the thousands—no, tens of thousands, even millions of people back in America who hung on his every word. He’d finally become the legend he had always wanted to be—if not in the exact manner that he’d intended. Ponzi’s friend, a nearly blind Brazilian who shared his wardroom at the free government hospital, surely already knew the answer to that question. Charles Ponzi was penniless and ravaged by the effects of a stroke. He was awaiting another operation on his eye, which he hoped would improve his vision. After being deported from America as an “undesirable alien” (he had never obtained U.S. citizenship) and divorced from Rose, he’d endured a string of failed business ventures. During World War II, Ponzi had been in Brazil, and then Argentina, where he bought a boardinghouse populated by prostitutes, along with a hot dog stand. He had hoped it would be the start of a national chain. Instead, it had gone bankrupt. Now he was utterly alone. He occasionally sent letters to Rose, who was still living in Boston. They always went unanswered. “Yes, yes,” he replied to his roommate. “Everything is fine.” It was always going to be fine. And then he closed his eyes for the last time, his final dream undoubtedly brightened by a street paved with gold. By the time William McMasters finished his 206-page manuscript he was eighty-eight years old. He had believed his role in exposing his former employer’s massive fraud had been lost to history. Now, thanks to this book, the record would be corrected forever. McMasters, never one to keep his opinions to himself, was sure to include a final prediction in his book. Just two years earlier, a twenty-four-year-old law school dropout had pooled together $5,000 to start his own investment company. His name was Bernie Madoff.